Guest: Dr. Henry Hertzfeld. Topics: Commercial space, Mars, human spaceflight, regulations & economics. Please direct all comments and questions regarding Space Show programs/guest(s) to the Space Show blog, http://thespaceshow.wordpress.com. Comments and questions should be relevant to the specific Space Show program. Written Transcripts of Space Show programs are a violation of our copyright and are not permitted without prior written consent, even if for your own use. We do not permit the commercial use of Space Show programs or any part thereof, nor do we permit editing, YouTube clips, or clips placed on other private channels & websites. Space Show programs can be quoted, but the quote must be cited or referenced using the proper citation format. Contact The Space Show for further information. 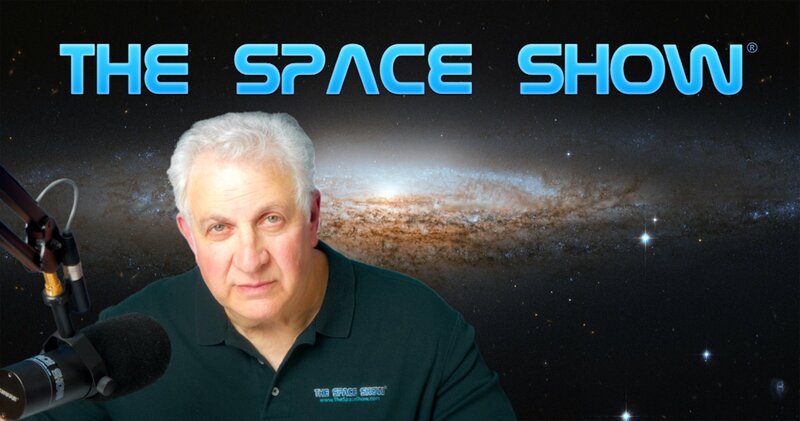 We welcomed Dr. Henry Hertzfeld back to the show for a fascinating 90 minute discussion regarding commercial space, human spaceflight (HSF), recently announced HSF Mars missions, increasing the launch rate, and more. During our initial segment, Dr. Hertzfeld addressed my question about lowering launch prices to increase the launch rate. Dr. Hertzfeld did a classic economic study on this subject several years ago and I asked him if today's current market and commercial space progress had altered his earlier conclusions. He said no. Later, I asked if space solar power (SSP) could drive launch rates down. The short answer was no but don't miss what he had to say about SSP economics, launches, and debris issues. Jerry emailed in a question about SpaceX being a commercial company given its receipt of government money. Henry had much to say about what makes a company commercial or not and if it is even an important issue. Another listener wanted to know about the deep space commercial ventures announced in 2012 and in 2013. The listener wanted to know if these were really commercial ventures, if regulations could stop them, and what would happen re the ventures needing property rights or the equivalent. One of the things our guest reiterated several times during our discussion was the need for stability and predictability for the commercial industry. Questions came in about benefit sharing and he mentioned the likelihood that some sort of international system would develop on these issues. I asked what constituted an acceptable ROI and the example of controlled ROIs as in the utility industry came up. Doug wanted to know about rocket reusability and its impact on launch costs. We also talked about both Mars One and the new Inspiration Mars mission. As part of this discussion, astronaut rescue and the rescue treaty were discussed. In the second segment, Doug called to discuss property rights for a NEO as opposed to the Moon, wondering if the Moon might be more valuable. Doug & Henry talked about our having returned lunar rockets as a model for commercially returning lunar products but Henry suggested there might be a difference in returning something for science as compared to commercial exploitation. Later, we addressed human spaceflight and its challenges. The Chinese space program was brought up as was the risk of a space war. Dr. Hertzfeld was asked about putting 10,000 people on Mars, space migration, species survival, space settlement, and the need to explore as possible drivers for HSF. My final question pertained to our evolving to a business friendly environment in space. Simply put, we are not there yet. Please post your comments/questions on The Space Show blog above. You can email Dr. Hertzfeld through me at drspace@thespaceshow.com.